With jackhammers roaring at eight in the morning, Nikolai Pankratz says his apartment has become "hell on Earth." Tucked away in the hills overlooking Los Angeles, the Toluca Hills Apartments are luxury living with many upscale amenities. But because of renovations planned through August that the ownership says is necessary, many tenants say they feel just like Pankratz. The renovations to replace windows, update appliances and remove asbestos have even led to some tenants living in zippered enclosures within their apartments to filter out dust. "We're calling ourselves refugees right now," says Caterina Mazzotta, who told NBC4 she's been staying at friends' houses to avoid the noise and dust. 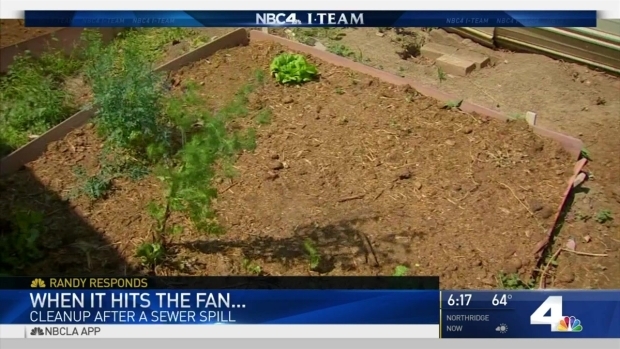 A sewage spill is one of the last things you'd ever want in your neighborhood. When pipes back up and there's a leak, what should you or your landlord do about it? Randy Mac reports for the NBC4 News at 6 on Tuesday, May 9, 2017. The tenants say they have not been given discounted rent or a relocation opportunity by AvalonBay, the company that owns Toluca Hills Apartments. AvalonBay says the city approved its construction plans before work began, but would not provide NBC4 with a copy. After a week of requests, the city was able to locate a report that says the apartments have been deemed habitable during construction. Tenant rights attorney Elena Popp of the Eviction Defense Network, however, reviewed some of the video recorded by tenants and believes the apartments are not habitable. "Eviction by jackhammer is actually a term that has become very popular," Popp said. With the help of an attorney and reports from public housing or health departments, Popp says residents may be able to strike — essentially withholding rent until the landlord agrees to negotiate on certain terms. Pankratz and other tenants have hired an attorney to help them figure out how to get their peace and quiet back. 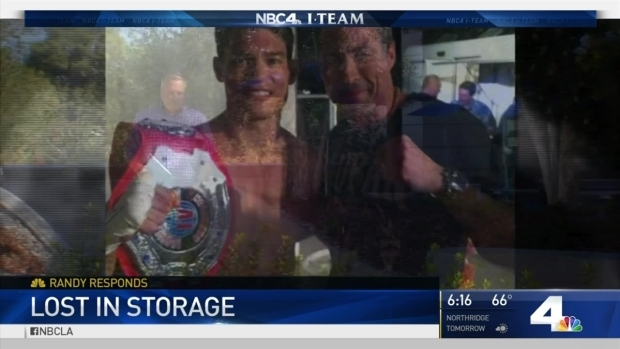 Chris Reilly, a former world champion MMA fighter, had his championship belts lost by the storage company that housed them. Now he's trying to get them back. Randy Mac reports for the NBC4 News at 6 p.m. on Monday, May 08, 2017. "I'm for construction," said Pankratz, "but it should not be at the tenants' expense."